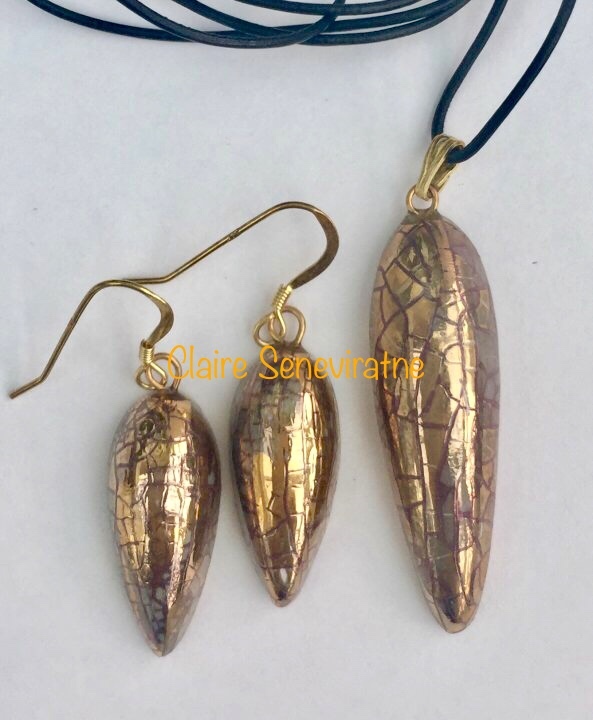 Claire Seneviratne - Ceramic Artist: Gold teardrop set. Gold teardrop set. These teardrops are made from porcelain. They have been fired in my kiln with a glaze and then refired with gold lustre. The earring wires and bail are vermeil (sterling silver plated with 22 carat gold). Height of heart pendant is 3.8cm. Width at widest part is 1cm. Height of earrings are 2.2cm. Width is 1.5cm at widest part.